In the lead-up to their new album Father of the Bride, Vampire Weekend have unveiled a video for recent single "Harmony Hall." 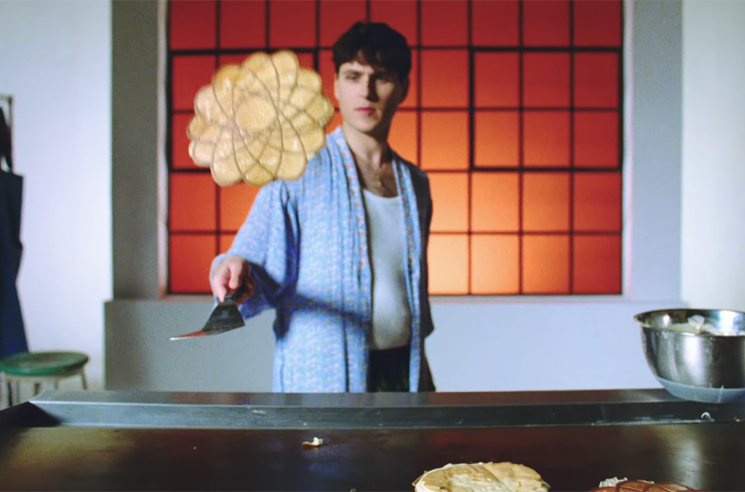 The clip was directed by Emmett Malloy, and it sees frontman Ezra Koenig cooking up an early-morning storm in the kitchen. He makes some seriously intricate pancakes, then serves breakfast to his bandmates and pals like Ariel Rechtshaid, Danielle Haim, Jonah Hill and Dev Hynes. When they're not eating, it's just a big dance party. All the while, a creepy green snake slithers around a couple of cantaloupes on the kitchen counter. Watch the video for "Harmony Hall" below. As of yet, Vampire Weekend's Father of the Bride does not have a firm release date, but the band will be heading out on a North American tour. You can see all the dates here.